At once bold and elegant, this rug design from Ronan and Erwan Bouroullec reinterprets the traditional Persian rug by using ancient kilim techniques. Technically complex, this Losanges rug is a combination of 13 colors in a geometrical rhombus pattern and represents the great skills of Northern Pakistani craftsmen, who have hand-woven the rugs from Afghan wool. In addition to the handcraft techniques involved, the wool is also handspun to achieve unique color tones that make each rhombus different, and each rug a unique item. 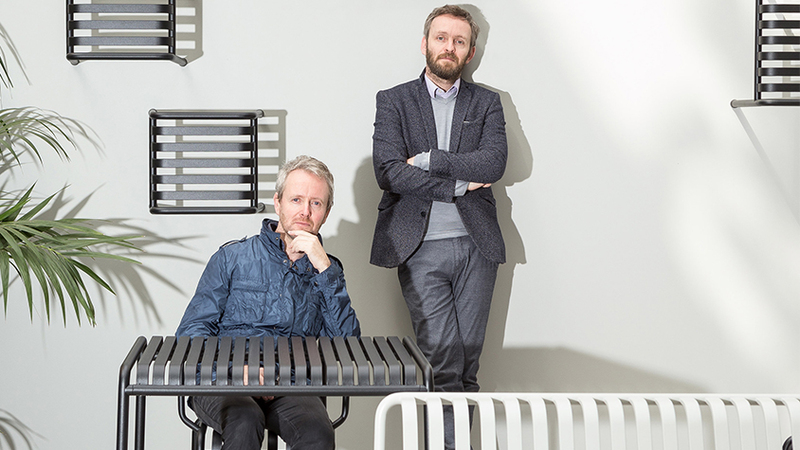 The Bouroullec Brothers are represented in MoMA’s collection. All rugs are handcrafted so they may differ slightly in size and color and should avoid prolonged exposure to direct sunlight. Made in Pakistan.